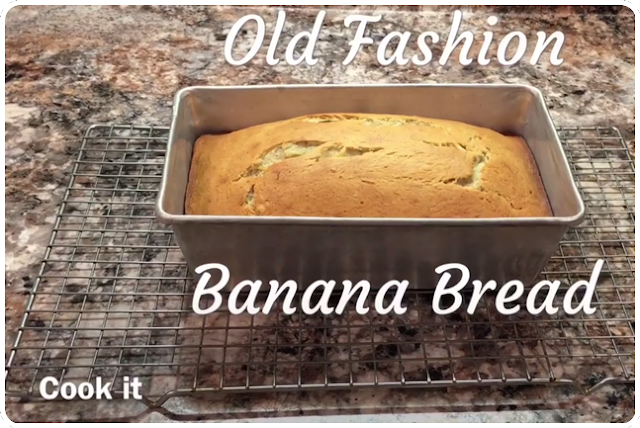 Banana bread just like grandma use to make and if you have little ones in your house, you're never in short supply of ripe bananas just waiting to become soft sweet banana bread! Preheat oven to 350 degrees. Peel Ripe Bananas and add to bowl and mash to semi-smooth consistency and set aside. In mixing bowl add flour, Sugar, Baking Powder, Baking Soda and Salt. Combine dry ingredients. Add mashed Bananas, Butter, Milk and Vanilla. Mix until combined. Scrap down bowl and mix on high for 2 minutes. Add remaining 3/4 cups of Flour and Eggs. Mix well. Spray bread pan, pour in batter and level out mixture. Bake on center rack for 55-60 minutes or until toothpick comes out clean when poked in center of bread. Bread can be sliced when it is still slightly warm if desired.